Organic Well Being: Very cool! The first fast food company to do this. Very cool! The first fast food company to do this. Several years ago I did a big pizza restaurant investigation and Little Caesars was one of the brands who refused to tell me what was in their food. Last week I started to wonder if that was still the case, and decided to check. I went to their website and couldn't find the ingredients there. So I picked up the phone and called their customer service and asked if they had the ingredients posted online. The representative told me that the ingredients for their pizzas are not published online and that she could not give them to me. She further said that they couldn't disclose a full ingredient list unless I had a DOCTOR call them. Whoa… isn't that ridiculous? This is what is wrong with so many big restaurant chains. They refuse to tell you what is in their food if you ask, let alone publish the ingredient list online. 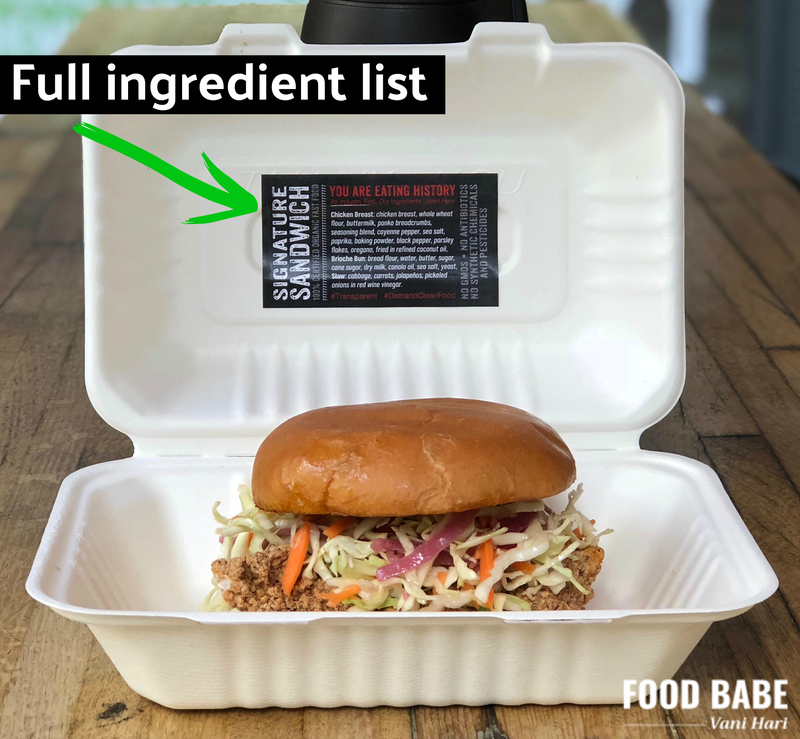 The FDA doesn't require restaurants to disclose this information, so they are given a free pass to hide their ingredients from consumers. Restaurants should not be hiding their ingredients from the public. Making the ingredients available via a PDF file on a public website is super EASY and really should be mandatory in the restaurant industry. And this is why I am pumped about what a new growing fast food chain is doing. The Organic Coup has started putting their ingredients directly on packaging! This is an industry first and I can't wait for other fast food chains to follow suit. Read all about it here. Over the last few years, we've convinced some multi-billion dollar corporations, like Chipotle, Starbucks, and Anheuser-Busch, to finally publish their ingredients for the first time in history. And, we can do it again! Take ACTION with me here. Everyone deserves to know exactly what he or she are eating and our job will not be done until we all have this information. Thank you for being warriors of change along with me!